Poe lovers! 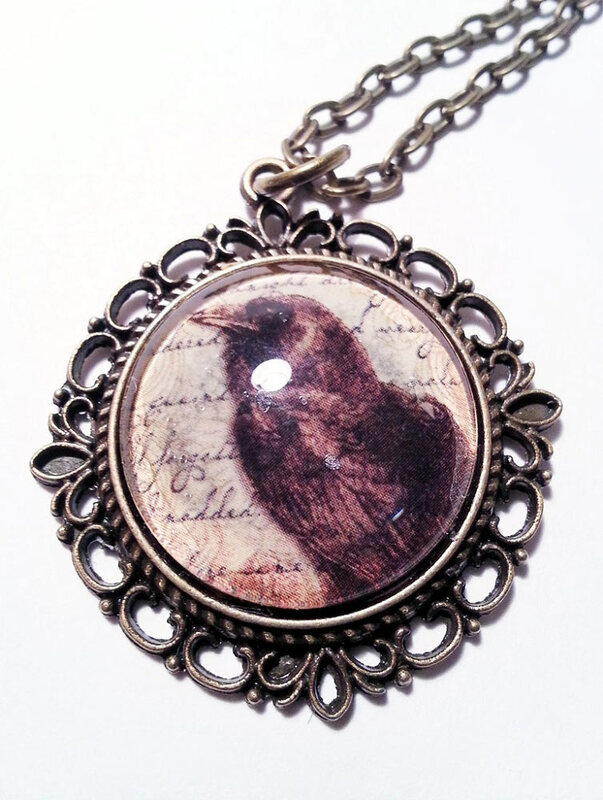 This necklace features "nevermore" image of a raven in glass overlay. It is set in a Victorian style antiqued bronze round pendant setting and hangs on a 24" chain withs with a lobster claw clasp. 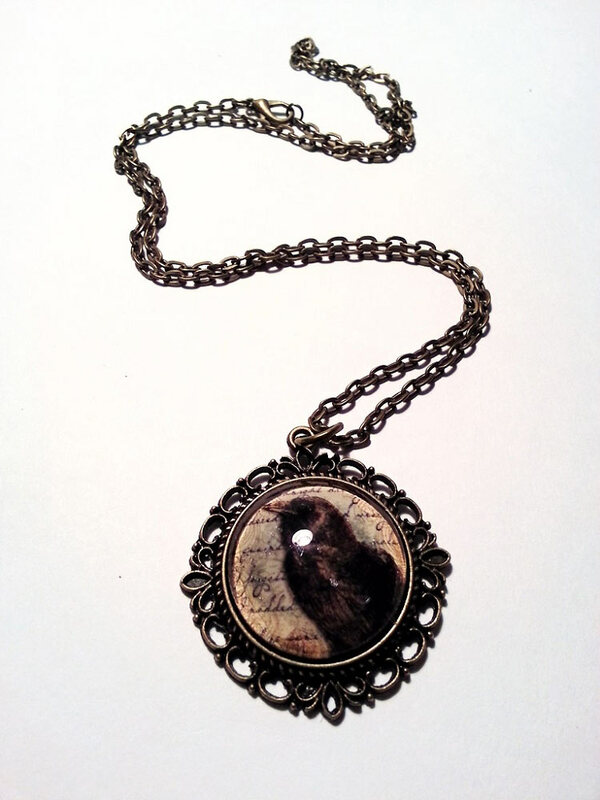 Pendant measures 1.5 inches in diameter.